Co-led by Sarah Foor and Shannon Willis. Folks new to ancestor work, adoptees, and those with a tough experience of family are warmly welcome. 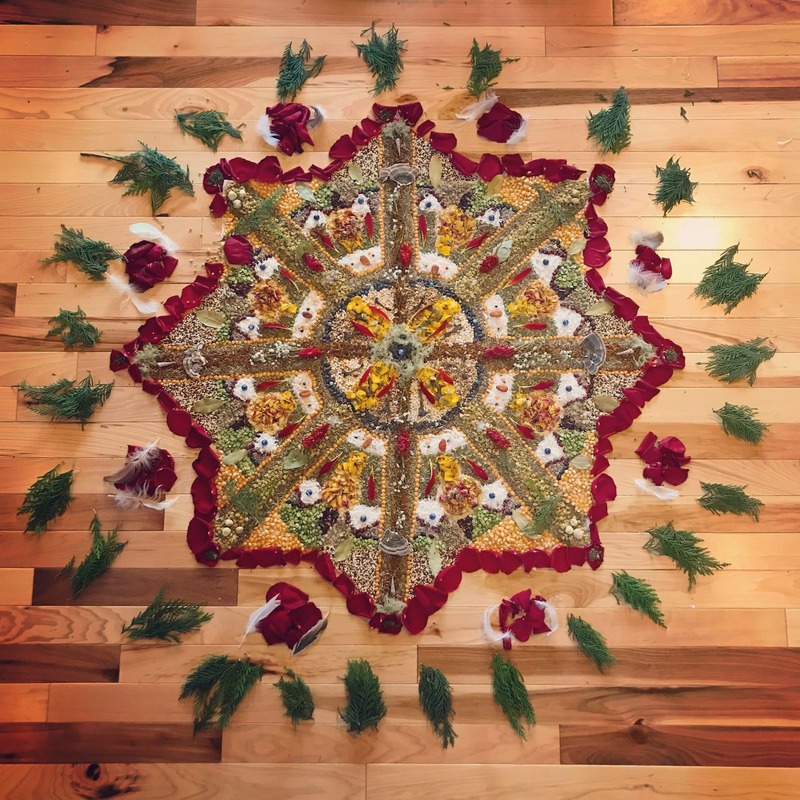 The training will be a trauma-aware, multicultural ritual container that embraces the relationship of ancestral engagement with cultural healing. Those with a healing arts practice will learn some new skills to support your work. This intensive will take place at the Center Within in Black Mountain. (This is a new location for this event– the same as the previous Asheville/Black Mountain Intensive.) Spaces are limited to 18, 10am-5pm each day, cost is $400 for the three full days of ritual/training. Lunch break included (lunch not provided). Sarah Foor, MFT (Asheville, NC) has served diverse populations as a counselor in San Francisco public schools, in hospital settings, and through intensive family therapy in North Carolina. She also completed a two-year training in the Hakomi Method and has worked as a massage therapist. She is an initiate in the Ifá/Òrìṣà tradition of Yorùbá-speaking West Africa in the lineage of Olúwo Fálolú Adésànyà, and she has made several pilgrimages to train with elders in Nigeria. Her people are earlier settlers to North America from the British Isles, Germany, and France, and her orientation to spiritual practice is rooted in respect for the body, the sacred feminine, and the natural world. For more info see: www.samarahealing.com. We acknowledge this event is taking place in the ancestral lands of the Cherokee people. Folks whose ancestors are indigenous to this area are welcome to join this event by donation or gifting. We encourage participants to become educated on the history of the land and to support local Native organizations.